I first stumbled upon Schloss Philippsruhe when I was researching my book on Carolina of Orange-Nassau. 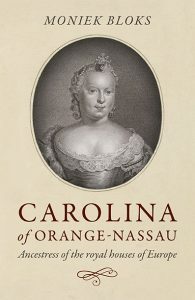 Carolina went to Schloss Philippsruhe after the death of her eight-year-old son William Louis. She had been feeling depressed and her husband suggested that she visit her aunt Mary, Landgravine of Hesse-Kassel (born of Great Britain). Mary was responsible for the expansion of the gardens of the Schloss. One can only imagine them walking in the gardens, Mary too knew the loss of a child. 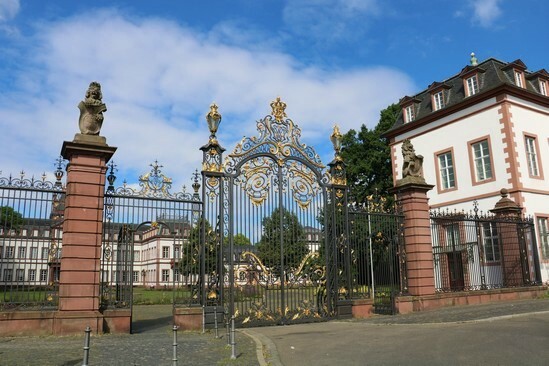 Schloss Philippsruhe in Hanau was designed by architect Julius Ludwig Rothweil but he was replaced in 1702 by Parisian engineer Jacques Girard. In 1736, the Schloss passed into the hands of the landgraves of Hesse-Kassel and it underwent further building works. However, before this building, another stood on its site and it had been built by Catharina Belgica of Nassau and her husband Philip Louis II, Count of Hanau-Münzenberg. This only stood for about 100 years. During the Napoleonic invasion, it was given as a gift to his sister Pauline. On 26 May 1884, Leopold, Hereditary Prince of Anhalt and Elisabeth of Hesse-Kassel married at the Schloss. They had one daughter together before his untimely death in 1886. Since 1967, it has housed the Historical Museum of Hanau. The large rooms are no longer furnished and most stand empty with a few paintings on the wall. You can tell that it must have been magnificent once. I wish they had done more to decorate it. There are tiny signs to indicate what each room was in the past, which was a nice touch but I only noticed them after several rooms. The entrance fee is quite friendly at €4,00 and you can walk around without a tour. For more information, visit their website.